Description: Basic guide on how to convert VCD, AVI, MPEG, WMV, RM, RMVB, DivX, ASF, VOB video to iPod video. 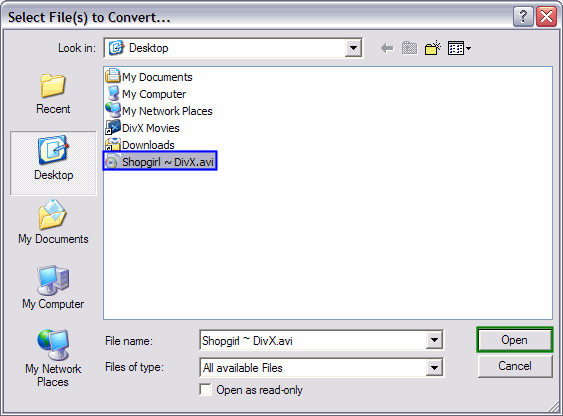 Jodix's Free iPod Video Converter will convert all popular video formats to iPod video. You can enjoy DVD/VCD and AVI, MPEG, WMV, RM, RMVB, DivX, ASF, VOB video files in your iPod with few clicks. The program is a freeware and does not contain any form of malware, including but not limited to: spyware, viruses, Trojans. Get Jodix's "Free iPod Video Converter" here.